Street teams are a common marketing technique often used by music industry professionals and other entertainment professionals. The goal of a street team is to get people interested in a product, person, or group using their current fans. Most street teams establish connections with fans in all major cities. They then ask the fans to perform simple publicity stunts to create exposure. These acts consist of social media blasts, putting up posters, passing out stickers, and attending events and shows. Graffiti is used as a tool to gain publicity for organizations and companies. Companies hire graffiti artists to create graffiti that promotes their brand, organization, or product. Many companies often choose locations of high traffic so that their graffiti gains as much exposure possible. Sticker bombing is a popular technique that is often used in political campaigns. This technique involves creating a sticker and placing it all over areas in mass quantity. 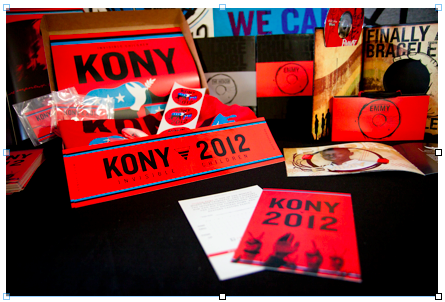 A somewhat popular example of this technique was the KONY 2012 campaign. Hundreds of thousands of activists for this organization placed stickers and posters all over major cities to make citizens aware of this issue. Have you ever heard of or used guerrilla marketing techniques? If so, let us know which one and how it worked for you!